On the 28th of March representatives from the ECSEL JU and IMI Joint undertakings met at their headquarters in Brussels to discuss topics of mutual interest. 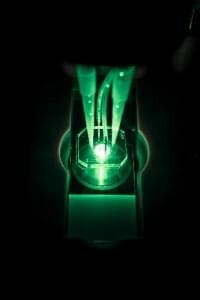 ECSEL Joint Undertaking is public-private partnership, funding innovation in electronic components and systems, while IMI is funding health research and innovation. The representatives are highly interested in new technologies that can improve the efficiency of drug development. One of these is Organs-on-Chip technology. The progress of these technologies and their role in healthcare is closely monitored by IMI and ECSEL. 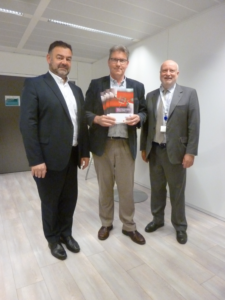 For the ORCHID representatives at the meeting it was a great opportunity to present the ORCHID interim report to Bert de Colvenaer (CEO of ECSEL) and Pierre Meulien (executive director of IMI). Figure: Ronald Dekker (TU Delft) presents the ORCHID report to Bert de Colvenaer (left) and Pierre Meulien (right). Feel free to disseminate this questionnaire within your network of interested researchers in universities, research institutes, industries, hospitals and regulatory bodies so that they could share their views too. Thank you very much for your contribution. During the next ORCHID phase we will specify the goals and milestones of the roadmap and define the underlying pathways to reach these goals. For that reason we will organize another ORCHID workshop, the ORCHID Strategy Workshop, and invite a small group of experts from academia, industry, patient organizations, regulatory bodies and medical centers (on invitation only). November 30, 2018 in Brussels. 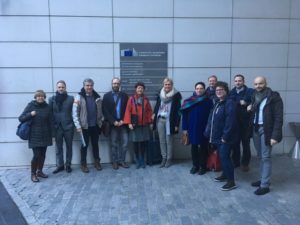 The ORCHID team went to Brussels for the review meeting of the project. The ORCHID partners appreciated the useful discussions with the review committee and will take on board the suggestions and comments to achieve our goals during the next phase. 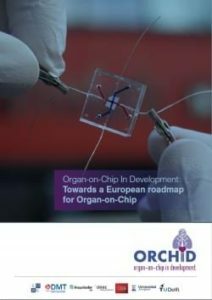 Over 180 participants from 12 different countries joined the third International Organ-on-Chip Symposium (IOOCS18) held in Eindhoven, the Netherlands, on 8 and 9 November 2018. 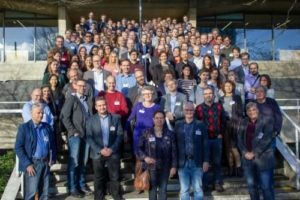 This year IOOCS18 was organized by NOCI, Eindhoven University of Technology and hDMT. No less than 55 posters of high quality were presented which ensured lively discussions between the participants. 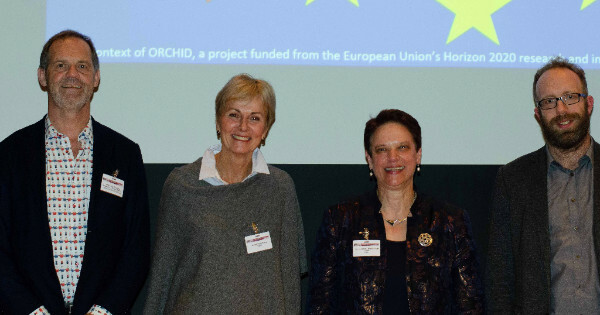 The new European Organ-on-Chip Society (EUROoCS) was officially launched at the third International Organ-on-Chip Symposium, held on 8 and 9 November 2018 at the University of Technology in Eindhoven, the Netherlands. 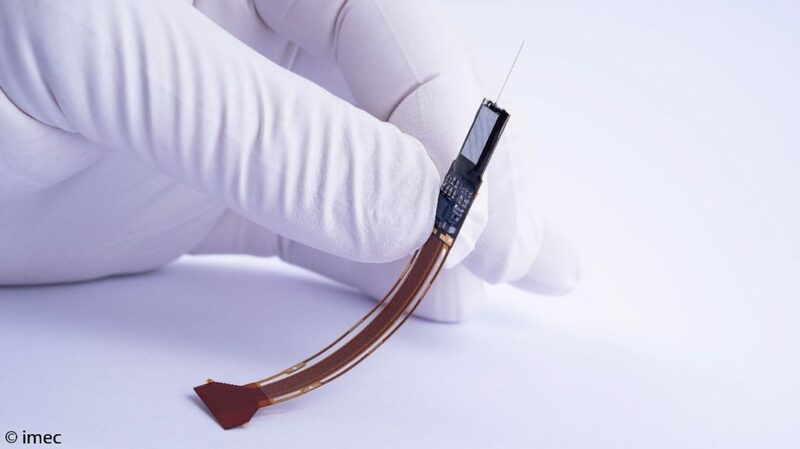 Imec, one of the partners of the ORCHID project, has released a cutting-edge high-density neural probe called Neuropixels. This leading device has almost a thousand electrodes, 384 recording channels on a single shank and provides an unprecedented resolution for mapping brain activity. Do you want to know more about the technology which may mark a before and an after in the global neuroscience research community? Click here! 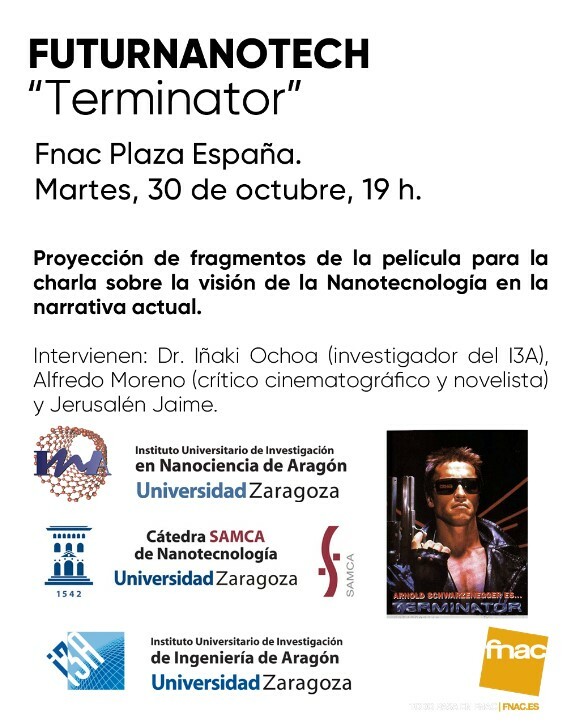 A new cycle of cultural talks called “FuturNanotech, the vision of a fictional future” is taking place in the University of Zaragoza. 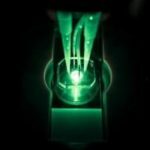 The vision of Nanoscience and Nanotechnology in current fiction narrative is analyzed through the scientific and cultural analysis of film and television series, in order to observe how the innovations carried out in the field of Nanoscience are transcending society and how they are projected in today’s culture. 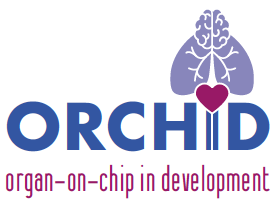 Ignacio Ochoa, from ORCHID, participated Tuesday 30th 2018 in one of these talks with the intention of approaching science, share knowledge, and enhance the curiosity of the people for research topics in which we are currently working. This interdisciplinary event has been organized by the SAMCA Chair of Nanotechnology and the Department of Theory of Literature and Comparative Literature of the Faculty of Philosophy and Letters of the University of Zaragoza.